Showing resiliency in spite of the new tariffs on imported modules, the U.S. solar market added 2.5 gigawatts of solar PV in the first quarter of the year, representing annual growth of 13 percent (and a 37% quarter-over-quarter decrease), according to the latest U.S. Solar Market Insight Report from GTM Research and the Solar Energy Industries Association (SEIA). 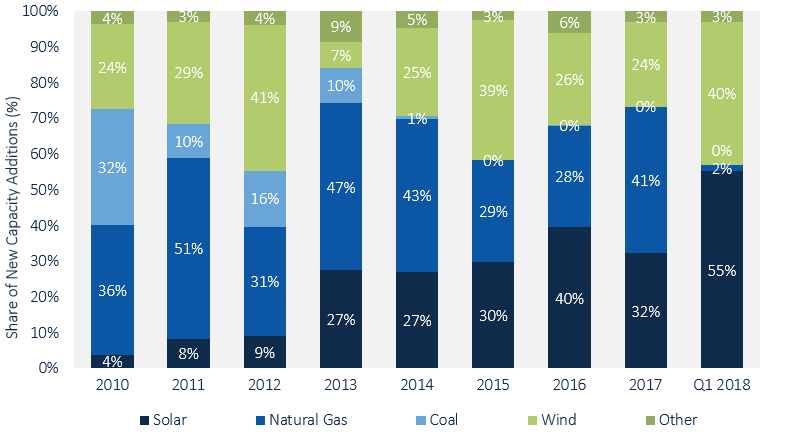 Source: GTM Research / SEIA U.S. Solar Market Insight, Q2 2018. Coming off its largest quarter ever, non-residential PV fell 34% quarter-over-quarter, despite posting 23% year-over-year growth. But the non-residential segment still posted its fourth-highest installation total ever, with 509 megawatts installed. Regulatory demand pull-in from looming policy deadlines in California and the Northeast is a leading growth factor. The other growth silo is community solar. Minnesota alone added more than 100 MW of community solar in Q1. The report says the U.S. has now surpassed 1 cumulative GW of community solar capacity. The report notes that three of the top five residential solar markets in 2017 — Maryland, New Jersey, and New York — are expected to contract in 2018 for a second consecutive year as a function of the persistent customer-acquisition challenges. “The decline in some major state markets will be offset by growth in emerging markets,” Perea said. GTM Research and SEIA highlighted Florida as a standout state in this quarter’s edition of the report. Florida added more solar than it did in all of 2016, the second most capacity after California and the first time ever that it was ranked among the top 5 for quarterly installations. GTM Research anticipates the U.S. market in aggregate will be flat this year. 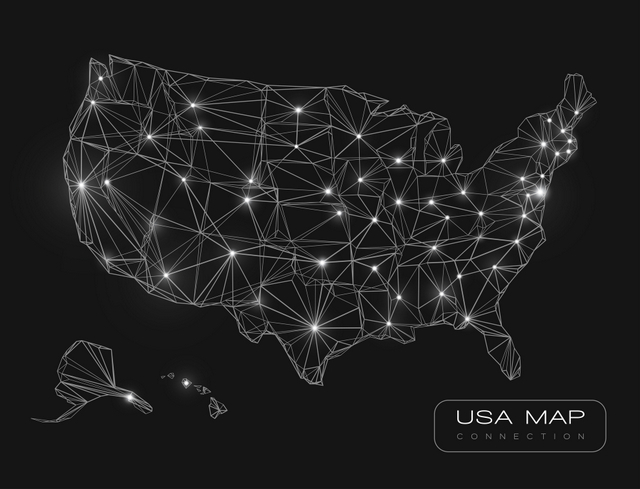 The U.S. market can again expect to see growth exceeding 10 percent in the early 2020s, driven in part by California’s recently announced policy requiring solar on all new homes. The report forecasts that within five years, California’s new home solar market alone will be larger than the No. 2 state residential solar market, New Jersey, by 100 MW. Total installed U.S. PV capacity is expected to more than double over the next five years. By 2023, more than 14 GW of solar will be installed annually.